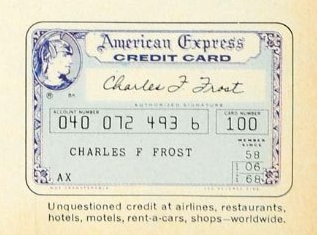 Who Is C F Frost of American Express Credit Card Fame? When you happen upon a credit card advertisement, there’s often a fake name and made-up sequence of numbers emblazoned on the card. This is done to give consumers a real-life vision of the card they’re applying for. Many credit card issuers put monikers like “John M. Cardholder,” or “A Customer” on the front of the card. Others keep things simple and put things like “Cardmember Name” on the sample card. Others still will put your name on a fake credit card to really try to draw you in, especially if it’s a platinum card or some other fancy card. But American Express has been using one very specific name for years now. In fact, since at least the 1960s, the company has used the name “C F Frost” on sample credit cards in its advertising campaigns. So who is this mysterious C F Frost? 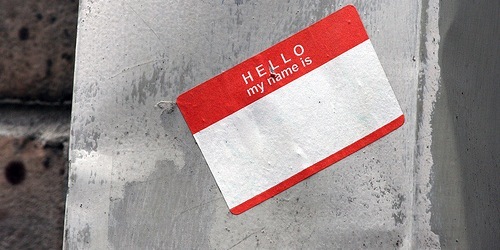 A real person, or just a made up name like all the others? 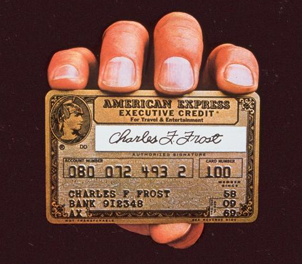 Put simply, C F Frost decided to use his name on the front of the Amex cards for one reason or another. Perhaps American Express liked his name, or maybe he thought it would be cool to use his own name and the company went along with the idea. We don’t know for sure why they used his name in so many credit card advertisements, but it is a real name and a real person, which is somewhat strange in the ad world (to my knowledge). The only remaining mystery is what the “F” stands for? Could it be Frank, Franz, Forest, Francis, Fabian, Fabio, Ferdinand? That’s something we may never know for sure. Read more: The Black American Express card does exist. You’d think they’d change the name by now. Guess he’s a legend in Amex folklore. I actually interviewed with Mr. Frost! One of my cousins owned Kurland Cadillac and Mr. Frost handled their advertising. I wanted to go into the advertising business, (ended up in production). Funniest story from that interview. As we were leaving his office, (it was after hours so everyone had left). He asked me, “Do you have to use the head?”. Not being a navy man at all I gave him a confused look and said, “I don’t think so?”. He then clarified, “The Head, you know the bathroom. In the navy it’s called the head”. Then I replied with much confidence, “Oh no I am definitely good thank you”. Funny stuff…thanks for sharing on the elusive Mr. Frost!